DEADMANSWAKE, Judas Beast & Others this Friday! Catch another night of great local talent at the Clearwater Theater in West Dundee, IL! This Friday, January 28th. Show starts 6:30pm. Heavy Metal 107's myspace band of the year, DEADMANSWAKE will be opening for JUDAS BEAST, a Chicago-based tribute band covering metal classics from Iron Maiden & Judas Priest. Other local bands appearing include Centaurus & Eli. 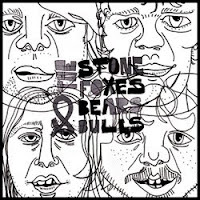 The Stone Foxes are a new blues-rock band out of San Francisco, CA. Their second full-length album, Bears & Bulls, offers 12 tracks that illustrate their style and direction. The Stone Foxes comfortably blend rock music with blues, blue-grass, or a hint of country/folk rock in a fashion that remotely conjures comparisons to The Eagles in my mind. Overall I'd say that they stick much closer to strick blues that The Eagles, though. This albums opens with the up-beat 'Stomp', which is an apt title, as you'll quickly tell if you give it a listen: a brisk drum-clap-drum-clap rhythym carries the tune (much like Queen's 'We Will Rock You', if you need a point of reference). The band comes in with a harmonized 'Whao-oh-o-oh..', and touches of a bluesy slide guitar complete the formula for this simple, yet addictive track. The next song, 'Patience', kicks it up a bit, and the band jams this one out with some heavier electric guitar. I would almost compare their electric/amped songs to late-80's Aerosmith, if perhaps they had a stronger blues influence themselves. From here on out The Stone Foxes display numerous incarnations of twang-infused blues, mixed with good-old rock & roll. It is really a great musical formular that must be heard to be fully appreciated. Don't miss out on this great new blues-rock band! Check out their webpages today! 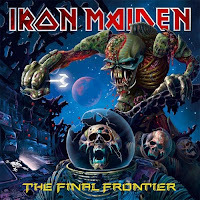 Iron Maiden, living legends of modern heavy metal, have recently released their 15th studio album, The Final Frontier. The last Iron Maiden album I reviewed, A Matter of Life and Death, I called the best Iron Maiden album ever. That's saying a lot for a band with such albums as The Number of the Beast, Piece of Mind, and Powerslave in their back-catalog. Do I dare to make such a bold claim again with The Final Frontier? Perhaps this time I'll digress, but not without being strongly tempted! 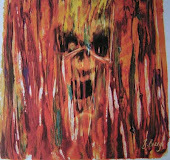 This album continues to solidify the band's reputation for always being able to deliver a quality metal album with well-blended elements of classic, progressive and melodic metal. If you have followed Maiden's recent works since Bruce Dickinson rejoined the band in 2000, then you may think you know what to expect. However, as The Final Frontier opens with the epic, sci-fi themed "Satellite 15... 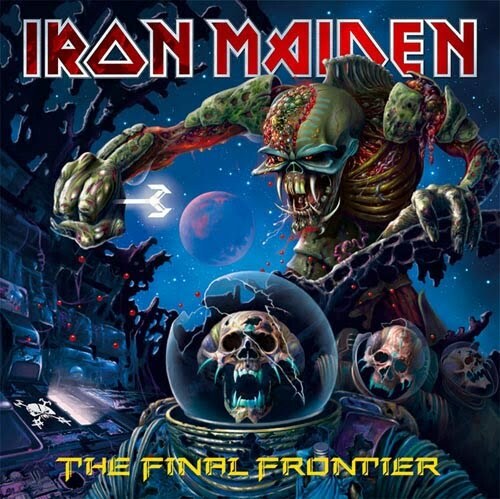 The Final Frontier", Iron Maiden immediately (and boldly!) go somewhere they've never been before, musically speaking. Drummer Nicko McBrain performs such a unique, intense, and thundrous cacophany of a drum intro the likes of which I've never heard in heavy metal. As this intro builds layer upon layer, as instruments join in, one by one, the listener is drawn in to the song with a truely gravitational force. About two-and-a-half minutes in, there's a bit of a lull during which Bruce's voice comes in and sets the lyrical context of the song, followed with the resumption of the drum-theme, but intensified two-fold. The song builds further like a wave about to break. Then, at the four-and-a-half minute mark, they shift gears for the title track, which rocks out like classic Iron Maiden! Before you have a chance to catch your breath, the next track, "El Dorado", picks up where the first one left off, and raises the intensity even higher. The guitar riffs are a bit heavier, almost thrash-metal paced. Bruce's vocals soar with the kind of powerful delivery Iron Maiden's fans are used to. By this point you know you're in for an excellent listening experience, and your head should already be in motion! By turns and twists, this album goes on to explore different facets of epic heavy metal. From intricate guitar solos to the always-masterful vocals of Bruce Dickinson; from the thundering drums to the driving bass riffs, this album has everything. Many songs are built upon melodic, lead-guitar passages, while others take root from Steve Harris' ingenious bass-lines. Thematically and lyrically, The Final Frontier focuses mostly on topics of fiction and fantasy, with the exception of the last number, "When the Wild Wind Blows", whose lyrics read like an indictment of today's current events & politics. I shouldn't forget to mention that this album is available as a 'Mission-Edition', a version of the CD w/ special packaging (a windowed, tin CD case) that includes a code for special online content, music video, interview, and video game. ATTENTION!! 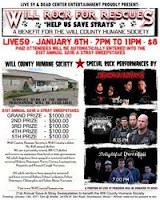 This Saturday, January 8th, 2011, don't miss your chance to see DEADMANSWAKE as part of a benefit show at LIVE 59 MUSIC CLUB in Plainfield, IL. This event is benefiting the Will County Humane Society. Part of the $8.00 admission goes toward the Humane Society, but other donations of food and pet supplies are welcome. The show begins at 7pm, with DEADMANSWAKE performing at 9:30pm. Help Losing Scarlet open for Buckcherry & Hellyeah!! Losing Scarlet (last year's Myspace.com poll-winner) are in an online Battle of the Bands contest on Rock108 radio in Iowa. The winner will get an opening slot on the JAGERMEISTER MUSICTOUR featuring Buckcherry, Hellyeah, ALL THAT REMAINS and others. The contest only runs until January 13th, so DO NOT DELAY! You can only vote ONCE, but make it count, and share the link with your friends! If you're not convinced, click the Losing Scarlet label at the end of the post, and listen to some of their music online. 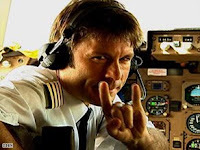 Bruce Dickinson- Heavy Metal 107's 2nd President!! In a landslide reader's poll, Bruce Dickinson scored a decisive victory for president of this blog. This convincing result came in timely fashion, as Iron Maiden have recently enjoyed much acclaim for their newest album, The Final Frontier. Whether this album title may indicate that Maiden are nearing the end of their career remains to be seen. However, for the next 2 years, Bruce will hold office here at happyheadbanger. In the meantime, keep enjoying Iron Maiden's music as well as Bruce's solo material. "Justice and liberty. You can buy - but you don't get free."